A newly built self contained one bedroom apartment with option (at small additional cost) of bed settee in lounge area. Spacious open plan living area includes kitchen with breakfast bar, lounge area with smart tv, desk area. Separate double bedroom with plenty of wardrobe storage. Bathroom with walk in electric shower, sink and wc - with heated towel rail and storage space for towels and toiletries. Well presented with good quality furnishings and very comfortable bed. Kitchen has all basic appliances including two ring induction hob, microwave with convection oven and grill, fridge with freezer compartment. The first floor apartment is located to the side of the owners property with private entrance at side of garage block accessed via an outside staircase. There is plenty of secure parking on site. Guests are welcome to enjoy the very large private gardens to the property. 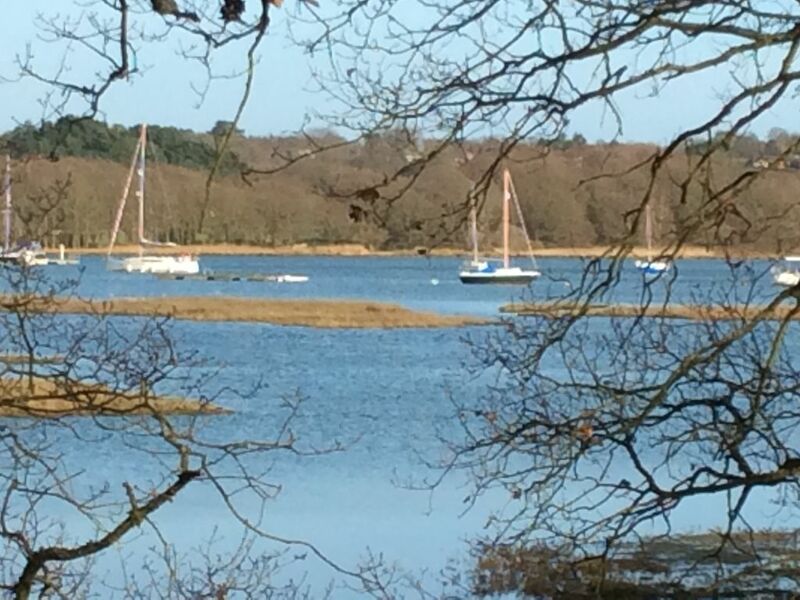 The property is located in a very quiet and picturesque village situated on the well known River Hamble, a popular area for the UK sailing fraternity. There are several pubs in the village in walking distance to the property all of which have good food available. There are also restaurants on the river in walking distance or short drives away from the property. The village and local area has an abundance of walks for all abilities to enjoy. We designed and built our home in 2016 and are now enjoying sharing part of it with our guests. We enjoy entertaining and meeting new people. We fell in love with the quiet location of our property in the secluded and friendly village, with the water front close enough for daily walks and village pubs to enjoy good food and friendships. As this is a first floor property with an outside staircase this is not accessible for disabled persons. Thank you for choosing to stay at The Croft it was lovely to meet you and your delightful girls.